Born in the City of Safad in 1935. In the aftermath of the Nakba (Catastrophe) of 1948, mahmoud Abbas, his family, along with many Palestinians were forced to leave their homeland and became refugees in Syria. President Abbas recieved his elementary education in Safad. As a refugee in Damascus, at the age of 13, he worked for two years to assist in providing for his family, and continues his education studying at home. He resumed his preparatory studies and continues until he finished his secondary studies. Abbas then joined Damascus University and received his Law degree in 1958. In 1982, he was awarded the Doctorate degree from Moscow. 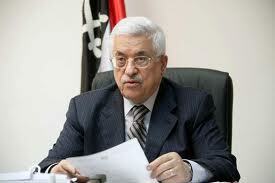 President Abbas involvement in national and political activities began in the id fifties. At the time Abbas and a number of colleagues formed a secret organisation, in the wake of which, the Palestinian National Liberation Movement "Fateh" was formed. Fateh was launched and came into being on January 1st, 1965. 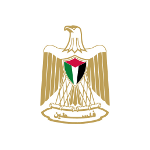 In 1957, Mahmoud Abbas worked as director of employee affairs at the Ministry of Education in Qatar. In this capacity, he managed to hire Palestinians from the west Bank and Gaza to work in Qatar in various positions, particularly in education. Abbas traveled frequently to these areas for this purpose. Int 1970, Abbas became fully involved in the national movement. In 1974, Abbas initiated the idea of holding contacts with the Israelis. Those contacts were approved by the Palestine national Council, and began in the same year. In 1978 he initiated the project of "twin cities" linking Palestinian cities with other Arab cities. Abbas represented the Palestinian side in signing the Oslo Agreement on the White House Lawn on September 13, 1993. On behalf of the PLO, Abbas signed the Transition Agreement signed in Washington on September 23, 1995.